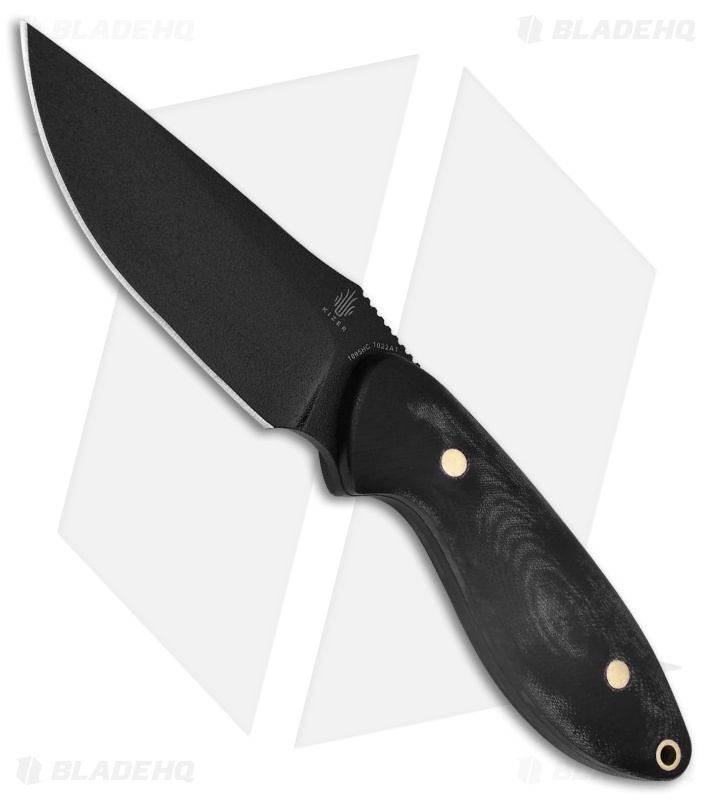 This Sequoia model comes with a black G-10 handle and a black finished blade with a plain edge. The Kizer Sequoia was designed by Eric Garza during a trip to the Sequoia National Forest. He wanted to create a high performance camping knife that could also function well in bushcrafting and survival scenarios. The straightforward design well quickly become your go-to for any outdoor cutting chore. Item includes a black kydex sheath. Rounded G-10 handle provides a secure and comfortable grip. Black coated 1095 steel offers a tough, durable blade.